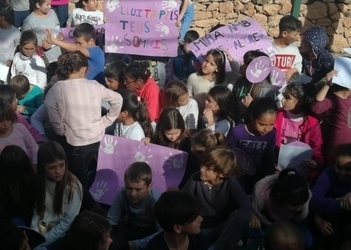 This Friday the teaching staff and student body of CEIP Mestre Lluís Andreu will host a special tribute event to honour the women and children claimed by gender violence in 2018. CiF culture secretary Susana Labrador was joined by school director Neus Masdeu and Espai Dones chairwoman Dolores Tamargo in launching an appeal to the 450 pupils in the crowd to do their part to jettison gender violence, emphasising the importance of more equitable education if future generations are to achieve the goal. Picking up where the adults left off, the children in the crowd chimed in with their own performance of Aitana's “Ets la força”, showing off posters and other craftwork inspired by the struggle to end violence. Local observance of International Day for the Elimination of Violence this Sunday November 25 comes with an entire morning of activities. Volunteers will staff an information booth in Sant Francesc's plaça de la Constitució from 11.00am. At noon the students of the Eivissa-Formentera conservatory will give a concert and then a flash mob will dance to Rosalia's “Malamente”. At 1.00pm, the crowd will hear voices calling for the erasure of gender violence as part of a reading of the day's manifesto. Capping the day's programme, the film Custodia compartida will be shown in the cinema (Sala de Cultura). The Formentera Council's education office announces that this weekend island families can look forward to a series of open days on the intellectually gifted and exceptionally talented organised by two area groups together with support from the Council. Ment i Cor (Catalan for “Mind and Body”) is being put together by ACTEF, an association to support individuals with exceptional abilities and talents, and the Balearic Islands' federation for the intellectually gifted. Education secretary Susana Labrador says the event will be crucial to “bringing visibility to a group which could represent up to seven per cent of students”. Often the children to receive special care are the slower learners, observed Labrador. “We tend to overlook gifted pupils”, she said, “who have special learning needs, too”. 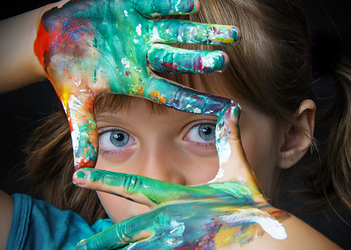 ACTEF's deputy chair, Maribel Calafat, detailed some the problems facing gifted youth, such as feeling they aren't understood by their peers or that they don't fit in. “'Gifted' doesn't mean 'good student'”, clarified Calafat, “It describes a different way of feeling, thinking and living. And if these children continue to go without special attention, down the road they could be struggling to find their place”. Such a prospect was the driving force behind the organisation of this weekend's open days, which are “specially tuned for families and educational staff to bring awareness to the 'gifted' question”. Organisers say 130 parents and teachers and 45 young people have already registered to participate, which will centre on responding to questions brought by households with gifted children. The cinema will host a programme with a wide array of talks and round-tables with strategies for supporting gifted children, exploring their ways of processing emotions and frustrations, and coming to terms with their intellectual gifts. At the same time, the Antoni Blanc fitness centre will play host to a range of fun and educational activities for kids. The space is being billed as “the perfect place to learn, gather and share hopes and concerns”. The Formentera Council's offices of youth services and education report that at 7.00pm on Friday, César Bona will present his “Mira al teu voltant” conference to audiences at the local cinema. 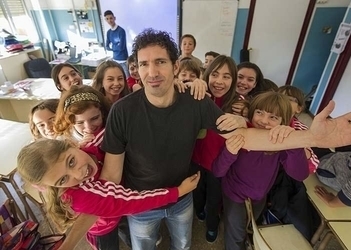 A teacher and writer, Bona was awarded the Global Teacher Prize distinction as one of the top fifty teachers in the world. An educator in the multidisciplinarian tradition, Bona believes in trying to foster skills like empathy, teamwork and creativity, calls for the involvement of all children in ways that promote respect, teamwork and effort and give free rein to imagination. His method rests on uniquely practical approaches to teaching school subjects, and making well-working classrooms the business of every pupil. Bona preaches assemblies as a way to give children a voice. He encourages less homework, especially at the primary level, arguing that childhood is extremely short and, with classes running every afternoon until five and children expected to continue working at home, pupils run the risk of becoming alienated from a classroom environment from which they've scarcely had time to disconnect. He proposes more flexible learning plans. Bona feels that school curricula are so structured that instructors barely have leeway to set aside textbooks and make use of other methodology. He believes there must be more time for teaching values, like respect for others and empathy. Bona also advocates spoken communication, emotional intelligence, social commitment and using tech to improve learning processes. 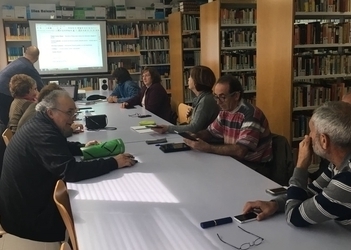 Catalan-language courses for adults begin today, Monday, through the Formentera Council's language advisory service, SAL. Students in the C1 group head to class today at 7.00pm, and evening courses at the B2 and A2 levels kick off too, an hour later. All three take place at IES Marc Ferrer secondary school. A total of nine courses are being offered: three beginners A2 (morning, afternoon and evening), two B1 (morning and afternoon), two B2 (morning and afternoon), two C1 (morning and afternoon). Tomorrow, Tuesday, is the first day of instruction for morning groups—A2 at 9.15am, B1 at 10.15, B2 at 11.15, and C1 at 12.15—in the adult learning centre (Escola d'Adults). Later in the day at IES Marc Ferrer, the afternoon A2 group hits the books at 5.00pm, and the B2 group at 6.00pm. The diverse array of classes reflects the administration's goal of facilitating and promoting Catalan language study on the island. The free courses' January end date is scheduled to precede official exams administered by the Balearic Islands' directorate general of language policy. Though this year a total of 117 individuals have already signed up, and registration for the courses will remain open all week. Apart from language instruction for the general public, more classes will also get started soon as part of the Council's five-year-old deal to offer instruction to health workers at the Formentera hospital. Evening classes at the hospital are being planned at the A2, B1, B2 and C1 levels. The Formentera Council wishes to unveil its autumn and winter catalogue of courses and workshops for young people and adults. Culture and education secretary Susana Labrador says the goal is to offer a diverse array of learning opportunities for islanders' professional and personal development. “We slot these classes into the low season to make participating as easy as possible for people who work during the summer and have more time for courses and workshops in the autumn and winter”. Every year a series of now classic art classes are on tap. Take Teresa Matilla's course on creation and painting, woodworking with Aaron Keydar, or Remedios Castillo's pottery class, all of which begin in November and go through March. Islanders will notice three new additions this year among the art and creation workshops. One course running November to February proposes to teach students how to handcraft canvas espardenyes. Jackie Katz will lead another (divided in two modules; October to November and January to February) on textiles and clothing design. Fran Lucas will lead a third, intro to watercolours. After the success that met last year's début run, a beginners' level course to familiarise islanders with the basics of digital photo will resume this year. Jose Antonio Arribas will oversee the one-month course in November. Arribas will also branch out this year with a workshop on mobile-phone photography. This year in the field of performing arts, Espai_F is back with the cultural group's Aula de Teatre. This “theatre class” is pitched as an adults' workshop on theatrical creation encompassing three areas: acting, voice and movement. Led by Miquel Costa, Xènia Fuertes and Valeria del Vecchio, instruction is scheduled from October to March. The social welfare department organises courses for out of work islanders. This year they will once again offer a course on social and cultural integration, in November and then again in March. La Mola's Casa del Poble is teeing up a series of fitness and wellness workshops covering Tai chi, Pilates, gymnastics for maintenance, yoga, meditation, dance and movement. Four new workshops have made their way onto this year's catalogue: intro to chess and choir, plus movement and music, both for children. Casa del Poble workshops begin in October. This year will see the return of courses on Catalan, Italian and English. The free Catalan courses will be offered by the Council's “Language Advisory Service” (SAL for its initials in Catalan) at the A2, B1, B2 and C1 levels. Signups start September 25 and conclude October 10. Classes begin October 15 and 16, though the end of instruction will be adapted to the official exams tentatively scheduled for January or February 2019. Each year the Council puts on English and Italian courses as well. The former are given by Nancy McConachie and the latter by Rodolfo Taccheo. Both are available for beginning as well as advanced students and are scheduled to begin afternoons in January. This year, the Sant Ferran retirees club is offering its own catalogue of courses and workshops on time-honoured activities like sewing, cane chair repair, basket-weaving and wool spinning. Additional courses offering instruction on cooking and tips for students of traditional dance, or colles de ball, on the proper way to wear folk clothing. These courses begin in November and signups are handled directly by Sant Ferran's Club de Jubilats. The first round of registration, or preinscripcions, can be done starting September 19. Enrolment for November workshops will be open through October 19. Islanders interested in the English and Italian courses, which begin in January, have until December 14 to register.